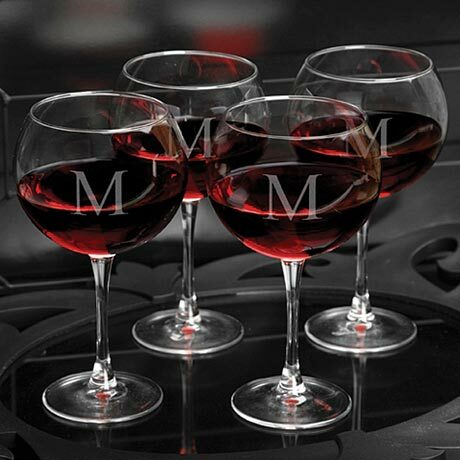 Specially designed for that favorite red vintage, our Personalized Set of 4 Red Wine Glasses will please the wine connoisseur in your life. Attractively personalized with a classic-style initial monogram, these glasses are delicate but sturdy and make a great bridesmaid or housewarming gift. Cheers! Glasses hold 18 ounces of your favorite vintage. Personalized with single initial (all must be the same). Allow 3 weeks. No rush delivery or gift box. Item can only be shipped within the Continental US.